Charleroi Municipal Bldg., 338 Fallowfield Ave. There will be treats, but no tricks, when real-estate agents, contractors, loan officers and community volunteers come together on the day before Halloween to promote homeownership opportunities in Charleroi Borough. 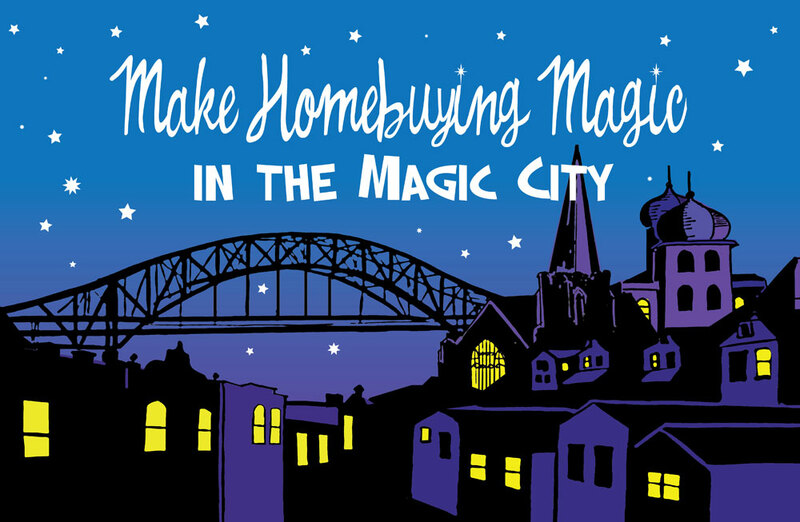 “Make Homebuying Magic in the Magic City” begins at 2 p.m. Oct. 30 at the Charleroi Municipal Building, 338 Fallowfield Ave., and includes a self-guided house tour, a question-and-answer session with experts from PrimeLending, and refreshments from Charleroi’s Fourth Street Barbecue. The event is being organized by the Greater Charleroi Community Development Corp. and Mon Valley Initiative. It’s open to anyone interested in buying a home in Charleroi Borough, including first-time buyers, recent graduates, growing families who need more space, or older people looking to downsize, says Stephanie Eson, a community outreach specialist with Mon Valley Initiative. Nine to 12 houses currently for sale will be open for inspection, she says. Housing counselors and real estate development experts from Mon Valley Initiative will be on hand to explain how up to $10,000 in down-payment and closing cost assistance is available, for a limited time, for people buying homes in Charleroi Borough. The money is available through the state’s housing trust fund. Some restrictions apply to that program, and applicants must meet income requirements. Real estate agents currently scheduled to participate include Northwood 201 Associates, Berkshire Hathaway—The Preferred Realty, Keller Williams and Coldwell Banker North Huntingdon Office. Contractors and home remodeling vendors also will participate, Eson says. In addition, PrimeLending will discuss the process of buying and renovating an older home through the use of the Federal Housing Administration’s 203(k) loan, which enables purchasers to finance, through their mortgage, the cost of fixing problems such as wet basements and leaky roofs, renovating a kitchen or bathroom, or replacing an outdated heating system. The event is geared toward people who are buying a home in Charleroi for use as their primary residence, and is not for landlords or real-estate speculators, Eson says. The tentative schedule includes an orientation session from 2 to 3 p.m.; self-guided house tour from 3 to 5 p.m.; and refreshments and additional information sessions from 5 to 6 p.m.